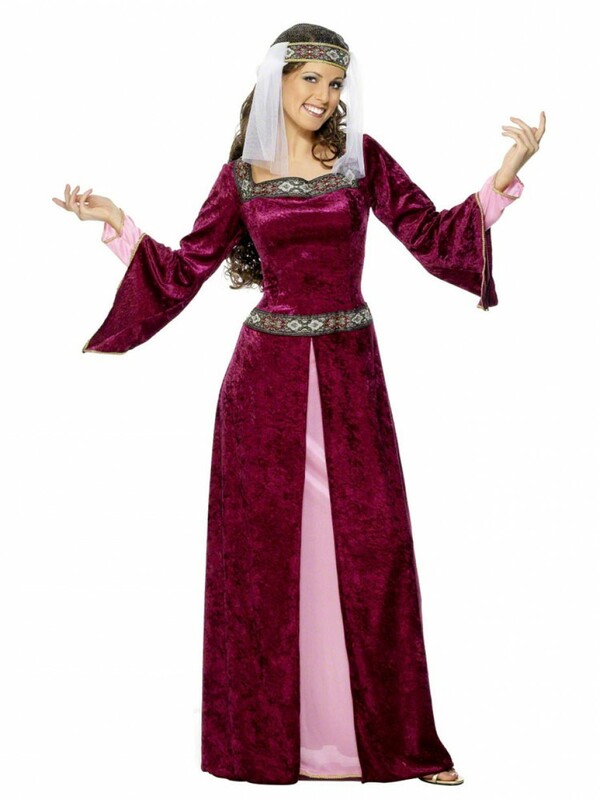 A rich purple Medieval Gown with detailed design & matching headpiece. Perfect for Old England Medieval or film themes! This two piece outfit includes full length gown and matching headpiece. The gown is in a rich purple velour material with great detailing, as pictured. To complete the look, a hat with matching detail and white netting veil design is also included. The hat sits on the head with a meshing top design. This gorgeous Maid Marion outfit is perfect for medieval, film themes or any fancy dress occasion. It is also a popular couples choice teamed with our fantastic Robin Hood costume! 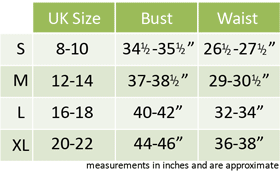 The costume is available in sizes Small, Medium, Large & Extra Large.